What if you could put a deep lens camera on a drone so you could search large areas hit by a hurricane and assess damage and speed relief? What if you could use machine learning embedded in smart home systems to monitor potentially dangerous situations and warn homeowners before an incident occurs? These are but two examples of what Cognizant’s InsuranceNext Innovation Lab works on every year with customers. In 2018, our lab hosted more than 200 executive visits from some of the world’s largest insurance companies that are looking to solve complex business problems for an equally complex industry. With so many privacy and compliance issues at stake, insurance companies are working hard to keep their customers safe and happy, while leveraging new technologies to innovate. 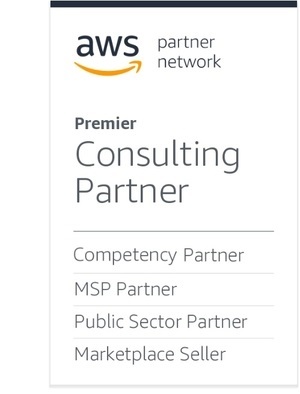 Cognizant, an AWS Partner Network (APN) Premier Consulting Partner and Managed Service Provider (MSP), recognized the need to provide customers the ability to industrialize innovation with a platform allowing them to test ideas, innovate, fail fast, and reduce time-to-market. With this vision in mind, we set out to build InCatalyst, an insurance innovation platform. In this post, we’ll provide a detailed overview of InCatalyst, how it’s architected and implemented on Amazon Web Services (AWS), and explore the benefits realized by InCatalyst after moving the platform to the AWS Cloud. A marketplace to host all the products and solution accelerators developed by the InsuranceNext Innovation Lab. A platform for Cognizant insurance customers to test concepts. A platform for idea generation via crowd sourcing. A platform for Cognizant engineering teams to share reusable assets or components with fellow engineers or customers. A platform for performing rapid prototyping on insurance use cases. The functional architecture of Cognizant’s InCatalyst platform is depicted in Figure 1. Figure 1 – Functional view of InCatalyst architecture. The Shopping Cart is responsible for offering reusable components and starter kits to software engineers. An example is a reusable node.js library for Alexa insurance claims skills. The project development workbench enacts the approval workflows and helps project managers to quickly set up a project in InCatalyst. The RPE helps developers and architects accelerate the development of prototypes through two types of templates: Technology Project Templates (TPT) and Business Project Templates (BPT). These templates help engineers quickly develop a prototype and validate an idea. Some examples of TPT templates include conversational artificial intelligence (AI), face authentication, sprint boot-based rest service for insurance domain models, Alexa Skills for insurance, and a MongoDB model for insurance. Examples of BPT templates include Life Engage, GeoLocus, WorkActivate, Claims Adjuster, and OptimaMedwise. BPTs are usually Cognizant proprietary solutions that can be customized and purchased as a fully-featured software-as-a-service (SaaS) product. The Insurance Marketplace hosts all ready-to-consume Cognizant insurance solutions and allows customers to rapidly launch a test drive or initiate a subscription. InCatalyst enables Cognizant to realize their vision of innovation-as-a service (InaaS) for the entire insurance industry—all hosted exclusively on AWS. Figure 2 – Technology view of InCatalyst architecture. InCatalyst is designed for failure. It leverages multi-Availability Zone (AZ) deployment of web and app tiers, Elastic Load Balancing (ELB) for web tiers, and internal load balancing for app tiers. It also leverages elastic IP addresses, performs real-time monitoring using Amazon CloudWatch and Amazon Simple Notification Service (SNS) for alarms based on CloudWatch metrics. Though it does not leverage Amazon Relational Database Service (Amazon RDS), it uses a stand-by database instance in a different AZ. Security is implemented in every layer of InCatalyst, which implements data encryption at-rest and in-transit. It also follows the principle of least privilege with Identity and Access Management (IAM) users, roles, groups, and policies. InCatalyst also leverages AWS Security Groups and Network Access Control Lists (ACLs) to harden Amazon Virtual Private Clouds (VPCs). Amazon Simple Storage Service (Amazon S3) for object storage and static website hosting. Amazon Elastic Block Store (Amazon EBS) for persistent block storage with automated snapshots. Amazon Elastic Cloud Compute (Amazon EC2) Ephemeral Storage for transient data. Amazon DynamoDB for storing simple non-relational data. InCatalyst does not make assumptions for compute capacity, health, and availability of components. It adopts elasticity in the architecture by leveraging AWS services such as AWS Auto Scaling, ELB, and custom CloudWatch metrics. InCatalyst is architected for resiliency for reboot and re-launch of Amazon EC2 instances, and it relies on dynamic configuration and leverages bootstrapping of EC2 instances. Parallelism is a key tenet of cloud-native applications, and InCatalyst architecture relies on that to the core. It does this by adopting features such as ELB to distribute traffic, Amazon S3 multi-part upload, Amazon Simple Queue Service (SQS) and SNS to fan out, and AWS Lambda to run multiple functions in parallel. The loose coupling of software components is a best practice from the traditional software architecture principles and is still applicable for cloud-native architectures. InCatalyst implements loose coupling via SQS, which isolates the Queue Publisher and Queue Consumer. Whenever there’s an impact or change to one of the components, the other is not directly impacted. Because of this, interactions are de-coupled and the environment can easily scale. Performance decreases by increases in load. Hardware upgrades are expensive and time consuming. Performance of traditional databases are impeded by lack of vertical scaling capability. Time consuming to troubleshoot hardware. InCatalyst is unencumbered by these constraints because it adopts various AWS best practices. It leverages Provisioned IOPS (PIOPS) for relational databases, Amazon EBS volumes for EC2 instances, and scales instance sizes (if required) with minimal or no downtime. The InCatalyst platform also leverages Elastic Network Interfaces (ENIs) to create inexpensive High Availability (HA) by swapping the ENI of Amazon EC2 instances for a quick service recovery, without the need for DNS or routing changes. It also relies on immutable infrastructure such as EC2 instances and Docker containers for effective DevOps. InCatalyst provides native integration for all oAuth2.0 providers so that various users and applications can easily integrate with the platform. It provides rest APIs for key functional pillars to make integrations smoother with other applications. InCatalyst is open enough to accept new technology, when warranted. This is accomplished by using adapter-based modular architecture to support multiple languages and application frameworks. InCatalyst follows a microservices-based architecture style. The business microservices are identified at a granular level and realized in code using appropriate language or application frameworks. They are then containerized using Docker containers, which are scheduled, orchestrated, and managed in AWS using a Kubernetes stack on Amazon EC2. Cognizant’s insurance team is now able to demonstrate the InCatalyst platform to any customer in any AWS region at any point in time, without worrying about capacity reservation or service limits. We can implement fine-grained security on the InCatalyst platform by leveraging IAM that is based on personas such as development teams, testers, customers, and client partners. Easily set up a robust DevOps pipeline with an AWS CodePipeline suite of services. This helps them to roll out changes in 3-5 minutes from checking in the code, compilation, unit testing, container build, and pushing images to Amazon Elastic Container Registry (ECR). Quickly open up the test drive or trial functionality of InCatalyst to customers in minutes with the help of AWS services such as ELB and Amazon Route 53. Optimize cost of deployment and run by leveraging AWS best practices. Stability for Kubernetes stack while running on Amazon EC2. Cognizant is able to experience the benefits of the rapid pace of innovation of AWS, which allows them to constantly evolve InCatalyst as well. Nowadays, InCatalyst features in every customer visit hosted by Cognizant’s InsuranceNext Innovation Lab. It leaves a positive impact on our customers and enthuses them to share with their peers what they’ve seen about the insurance innovation platform. One of the large U.S.-based life insurance companies visiting the InsuranceNext Innovation Lab wanted to experience first-hand Cognizant’s capabilities in innovation, agile, and digital transformation. After the first day, they decided to build an Amazon Alexa Skill to integrate with the customer’s backend ticket processing system. The Skill should be able to guide users to fix their own issues, raise support tickets, and retrieve the status of tickets. The InCatalyst plaform’s RPE module provides an Alexa Skill builder toolkit which utilizes AWS APIs to build the Skill interface as well as the AWS Lambda handler code for it. The InCatalyst Shopping Cart module provides integration APIs for popular ticket management systems. In the end, both of these feature enabled the developers to quickly develop the Alexa Skill in the just three days. The Rapid Prototyping capability of InCatalyst allowed developers to give daily progress demos to the customers, and allowed feedback to be quickly integrated to the code and turned around by the very next day. 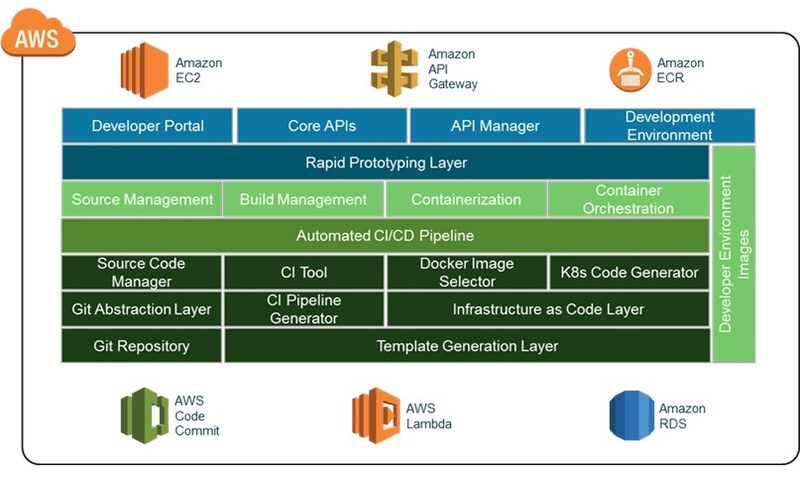 As Cognizant continues to innovate on behalf of customers, the roadmap for InCatalyst includes leveraging AWS Lambda for automation and to stitch multiple architecture components, as well as leveraging Amazon RDS to experience the benefits of a relational database management system (RDBMS) offering. We also plan to migrate from Kubernetes deployment on Amazon EC2 to Amazon Elastic Container Service for Kubernetes (Amazon EKS). Other next steps include modifying the code pipeline to adopt all the native AWS DevOps services, and implementing fully automated disaster recovery to orchestrate across AWS regions. Cognizant is an APN Premier Consulting Partner. They transform customers’ business, operating, and technology models for the digital era by helping organizations envision, build, and run more innovative and efficient businesses.